Hubbub - Send PS to Oxford! Thank you for taking the time to visit my funding page. My name is Philile Shongwe – a 24-year old researcher, language enthusiast and aspiring policymaker in education. I am a 2016 graduate of Yale College where I double majored in Global Affairs and French. I owe a lot of this achievement to many individuals who have supported me throughout my college career, but I am especially grateful for the generous financial aid I received through both the Davis UWC Scholars Program and Yale College, which made it possible for me fulfill my dream despite my inability to pay full tuition. A couple of months ago, I received an offer to study for a Master in Public Policy at the Blavatnik School of Government at Oxford University. The MPP is an intensive one year Master’s degree which distinguishes itself by being globally-focused (also having one of the most multinational student bodies), its multidisciplinary teaching and its emphasis on building a wide range of practical skills needed for public service – skills that include negotiating, public speaking and policy analysis. With this degree, I hope to gain the skills I need to help shape education policy that will not only effectively train students but will open doors, inspire and help learners throughout Southern Africa pull themselves and their families out of poverty. Initially when I received the news of my acceptance, I was excited and hopeful that I would also get a positive result from my scholarship applications to the school. Despite my best efforts and wishes, I have not been able to secure a scholarship from Oxford. Having recently graduated and currently in a voluntary position that pays me a living stipend of $400 a month, I simply cannot afford the fees without financial support. Because I want make sure I have tried everything possible to secure the funding I need, I am reaching out to you to contribute anything you feel you can towards not only my dream but also the work I hope to be able to do in future. Ideally, I need to have signed a Financial Declaration indicating my ability to pay these fees by the end of July 2017. After completing the MPP, I hope to launch my career as a public-sector consultant in an advisory position throughout the broader African context. I believe this experience will prepare me for my long-term objective of becoming a leading policymaker in the education sector in Swaziland. Throughout high school and university, I have had the pleasure of serving different communities in Swaziland as a music teacher, language tutor and running coach. 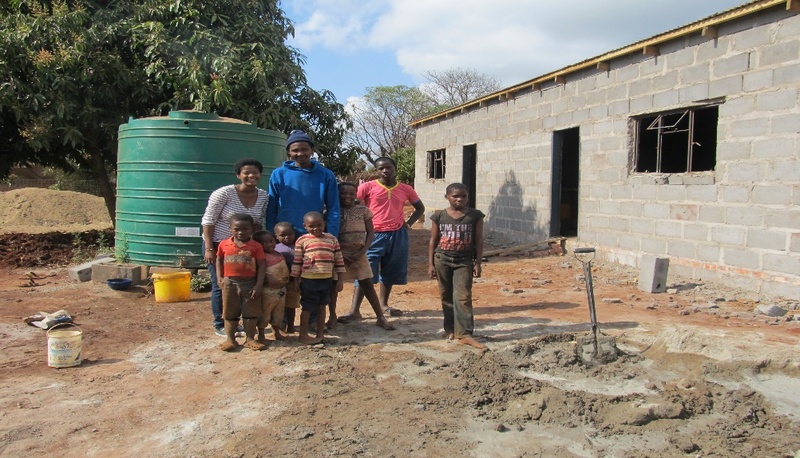 My most notable community service projects to date have been the construction of a fully functional feeding and educational center for about 150 orphaned and vulnerable children living in an informal settlement in the North-east of Swaziland, in an area known as Mgidzangcunu. As project leader, I was responsible for writing a winning funding proposal to the Davis Projects for Peace Committee, seeking volunteers and ensuring the successful completion of the project. Click here to find out more about this project. In my current position as a research assistant at the Institute for Empirical Research in Political Economy (IREEP) in Benin I am involved in several projects that will impact policy not only in Benin but the broader West African region. I am responsible for analyzing the cost-effectiveness of an Impact Evaluation project that examines the impact of supplementary Math teachers on learning outcomes of girls in 90 Beninese high schools. I am further part of a team of qualitative analysts that will be conducting qualitative interviews to explore the factors that determine girls’ success and failure in the Beninese educational system. This will be the largest qualitative study conducted throughout all communes in Benin since the government introduced free primary school education in 2006. As part of my senior Capstone project for my Global Affairs major at Yale, I worked in a team of nine to develop health management recommendations for the Clinton Health Access Initiative (CHAI) Health Workforce Management Program in Liberia. These recommendations were based on insights gained through rigorous qualitative analysis of interviews with fifty healthcare practitioners and researchers. In 2013, I collaborated on a research project that used the statistical software Spectrum to model the effect of the 2004 rollout of anti-retroviral drugs on AIDS deaths and Tuberculosis incidence in mainland Tanzania. This work resulted in a paper that was selected as a working paper for the AIDS and Society Research Unit at the University of Cape Town. Foreign language study has had a marked impact on my education and professional journey thus far. Studying French from early on in my schooling, grew into a passion that has led me to take numerous language tutoring jobs, take French as major in college and to write an award-winning Senior Essay in the French Major. It is also no coincidence that I currently work in a French speaking environment where I can combine both my love for the language and my passion for education and youth development. Earlier in my college career, I also embarked on yet another foreign language – Mandarin. Although I have not achieved professional proficiency in Mandarin Chinese yet, I appreciate how much I have learned through my study of the language and how my studies have enabled me to travel and volunteer in China and to engage with Chinese communities throughout the world. Click here to read my blog about my time in Beijing learning Mandarin. Where else am I looking for funding? I have sent out requests to a number of trusts and charities in the UK, and at the time of writing have not heard anything yet. I also plan on approaching private sponsors who could potentially fund some part of my studies. Thank you in advance for anything you feel you can contribute and your investment in me. Donors will get a personal thank you note or email, as well as access to an exclusive blog with summaries of my coursework, policy-related activities and any updates about my time at Oxford. Donors will get a personal thank you note or email, access to an exclusive blog with summaries of my coursework, policy-related activities and any other interesting developments at Oxford. Donors will also get a detailed update on my work and progress at the end of each term/semester. In addition to a personal thank you note, access to an exclusive blog and termly updates, donors will also get a personalized shirt made with traditional Swazi cloth called lihiya mailed to their home address.